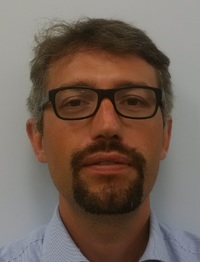 Dr. Giacomo Bellani is Associate Professor of Anesthesia and Critical Care Medicine of the University of Milan-Bicocca, in Monza, Italy and staff physician in the general Intensive Care Unit of San Gerardo Hospital, where he completed the postgraduate training program in Anesthesia and Critical Care. Research has always been complementary to his clinical activities. For this reason, he spent 18 months as a research fellow at Massachusetts General Hospital, in Boston, MA. In 2010 he acquired a PhD in Biomedical technology. His research is largely focused on ARDS and mechanical ventilation. Since October 2015 he is chairman of the Acute Respiratory Failure Section of ESICM. He was co-PI of the LUNG SAFE study (main manuscript published in 2016 on JAMA). In October 2017 he has been visiting professor at Mayo Clinic. He authored about 100 peer-reviewed papers, 10 book chapters, delivering about 100 talks. He is co-founder and president of reviewercredits.com.